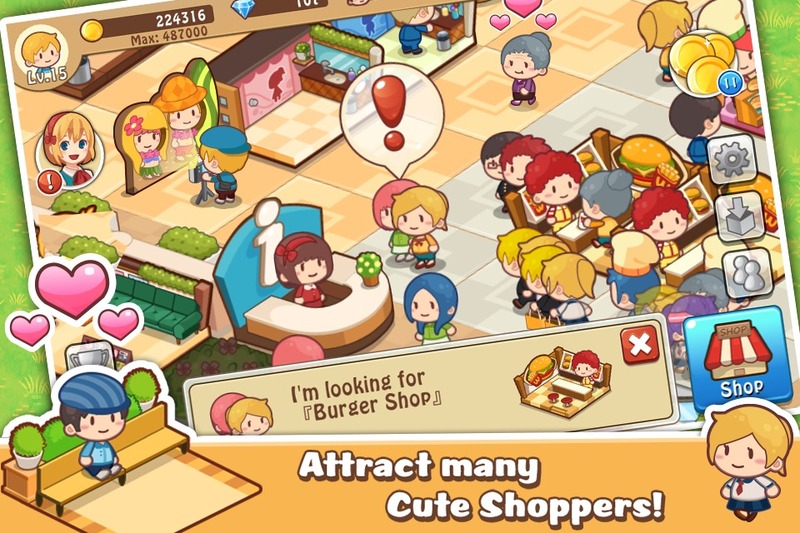 Happy Mall Story: Sim Game APK (MOD unlimited money) is an attractive simulation game of the publisher Happy Labs. The game is for players who have dreams of building their own mall. Maybe you know, shopping is a form of entertainment for many people, especially for women. We feel relaxed when we are in a mall and feel satisfied when we buy the things we love, even if it’s not good for our wallet. In this game, you are a tycoon trying to build the largest shopping center in the world. In Little Big City 2, your task is to build and manage a city. In Happy Mall Story, your responsibility has been reduced, there is only a shopping center. Great things start with small things. Your shopping center starts with just an empty yard and a few small stalls. It could be a food stall, an electronics store or a bookstore. A large shopping center needs quality and attractive stores for customers. 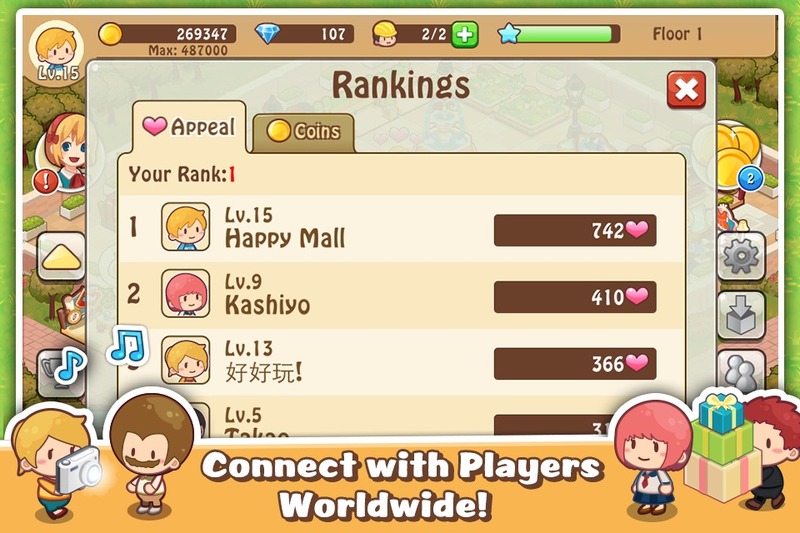 I think you need a good plan when playing Happy Mall Story because each customer has a different shopping need. If you want to attract low-budget customers, you can choose the most affordable stalls of most people in the city. If you want to attract wealthy customers, choose the stalls that sell luxurious items, jewelry, and fashion. Customer satisfaction is the core issue of the game. If they feel satisfied with the quality of your mall, very good, they will come back. Conversely, they will never return and reduce the mall’s reputation. This greatly affects revenue. Initially, making money is not easy. You only have a few small stalls. After that, you can build more stores, expand and upgrade more floors for your shopping center. At first glance, you may find that the cost to unlock and upgrade things is quite expensive. But with your daily growth and revenue, things aren’t as bad as you think. Besides, you can buy more decorations for your mall. Of course, that is indispensable. Because besides the quality of service, landscape and design are an important factor to attract customers. What’s more in Happy Mall Story MOD? 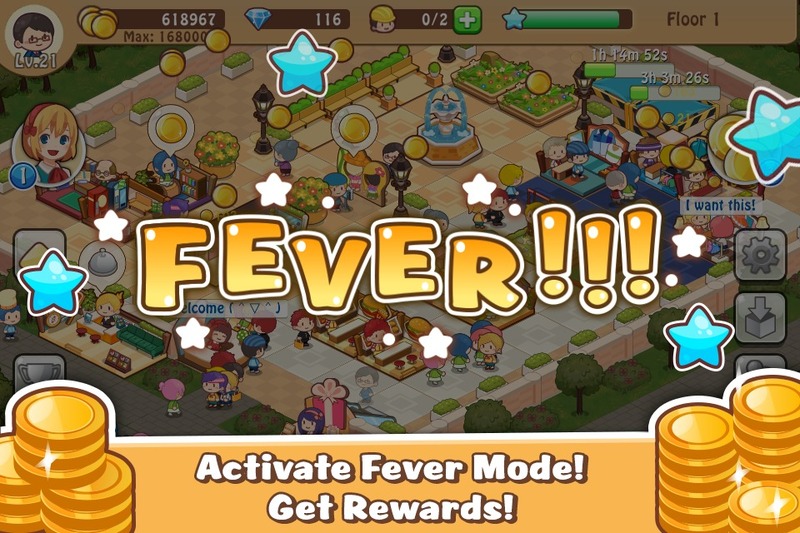 Every day, after a period of activity, your center will enter the phase of Fever – the mode that gives you huge revenue and the opportunity to receive other rewards like diamonds. In addition, your shopping center can receive customer tours within 2 to 12 hours. These tours can bring a lot of money, customers, and reputation to your center. Instead of being designed with realistic 3D graphics, Happy Mall Story is drawn in a cartoon style, which reminds me of some of the animated movies that I have seen since childhood. The menu bar and other information are reasonably designed, without affecting the main screen of the game. Color harmonious, gentle. Sound does not have many highlights, matching the theme of the game. Overall, Happy Mall Story: Sim Gameis a not fast-paced simulation game, suitable for players who want to find for a game to entertain, kill time. The game simulates an interesting business model for mobile devices, I can play anywhere, anytime. Besides, if you want to build an amusement park, download RollerCoaster Tycoon Touch to your phone and enjoy! 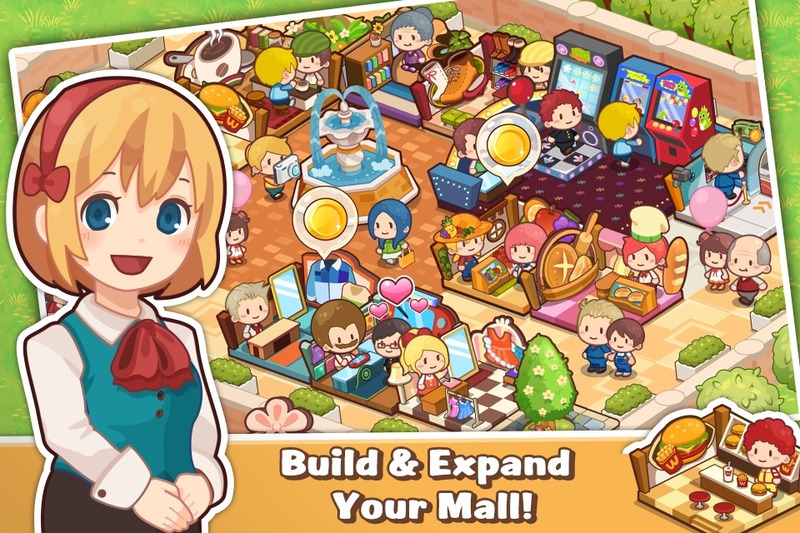 Happy Mall Story MOD APK is ready to download!